I've got a problem. I am trying to figure out what to do about my graduate education and I'd appreciate any advice you want to give. In 1999 I attended Calvary Chapel Bible College and received an Associates in Theology. 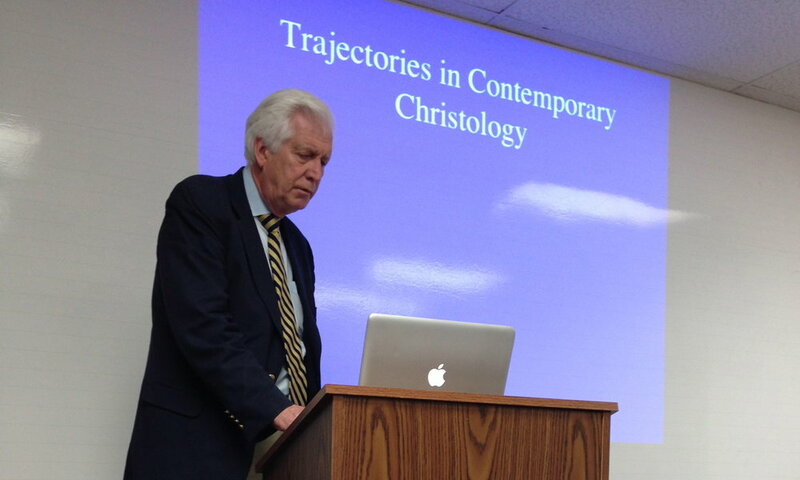 The curriculum was primarily expository studies through Old and New Testament books. One of the requirements was to listen to 365 lectures by Pastor Chuck on the Old and New Testament. This class alone was over 450 hours of Bible Survey. I also took Church History, Apologetics and Hermeneutics as requirements for graduation. After I graduated I was invited on staff as an administrator and teacher. I had a hand in discipling students, running parts of the academic office and teaching classes. I served in this role until 2007. During my time on staff at the Bible College I taught four classes: Exposition of 2nd Corinthians, Theology Proper, A Survey of Biblical Prayer and Community Outreach and Evangelism. I had a blast developing these courses. Besides teaching classes I continued my education. In 2003 I enrolled in Faith Evangelical Seminary and spent the next eight years completing my BA in Religion. (Yes it took me eight years to complete a two year program.) The great thing about Faith was that I got to take more Bible and Theology classes as a part of my degree track. I took the minimum requirements for liberal arts classes and rest was graduate level theology classes. It was awesome. In 2007 I moved my family to Kauai where I oversaw the development of a new Bible College. Over the seven semesters that we were there I taught at least three courses per semester including an exposition of Romans, Church History, Hermeneutics and about five other classes. I was teaching non-stop during this time. In 2010 our family moved back to Souther California where I became the interim director of an online University. This was strictly an administrative role. But I did start teaching in the Calvary Chapel Costa Mesa's college programs. Since 2010 I have taught in the School of Worship, the School of Ministry and the Bible College. The bottom line is that I have done a lot of teaching and a lot of learning over the past thirteen years. Over the past year I have been enrolled in Golden Gate Baptist Theological Seminary. I have taken a total of 14 credits over the past year. The reason for my enrollment in GGBTS was to further my education, develop new relationships beyond my current circle of friends and sit in a brick and mortar classroom instead of an online class. My time at Golden Gate has been a positive one. I have been able to develop new friendships. Some of the classes were rigorous and informative. I often felt inspired by my peers. I was especially impressed by Dr. Durst and the Southern California President, Dr. Waggoner. Dr. Kelly's class on the educational ministry of the church was an inspiration. I don't think I can overstate my appreciation for the faculty and administrators I've met at Golden Gate. The issues I'm having with GGBTS are the finances and the redundancy I'm experiencing as I move through the degree track. I am not a Southern Baptist, so I pay around $430 per credit. I did receive a $1,000 scholarship my first semester and $750 my second semester. But scholarships are only available to full time students who are enrolled in a minimum of 9 credits. After trying to do a full class load and work full time I felt like I was burnt out and hating life. (For example: I took three classes last semester and taught two classes at Calvary Chapel.) If I were to continue at Golden Gate I would have to take fewer classes and pay the full rate. In addition to the financial aspect, I have been frustrated with the rigid degree track. Basically, the graduation requirements serve a student who has very little Bible or Theological training. Most of the required classes are classes that I have already taken or taught. I'm experiencing a lot of overlap. I feel like I know about 80% of the material covered in class and about 75% of the material covered in the books. It gets a little frustrating when you are sitting in a class for four hours thinking I am paying $160 for this session and I'm listening to a lecture I've already given while my kids are back at home missing their dad. Golden Gate does offer a guy like me a couple of options. First, I can apply for the Advanced Track in the Master of Divinity program. Under this program the requirements would drop from 90 credits down to 75. To be given advanced standing is not an option for the lesser degree of Master of Theological Studies. Another bit of wiggle room that I could find in the GGBTS program would be the independent study program. This program allows a student to be sponsored by a faculty in a customized curriculum. Basically you can study what you want to study as long as a faculty member is willing to sponsor you. This is an option available to students who have complete at least 25 credits. This means it would take me another 11 credits to qualify for this option. When I say there is overlap between the academic work that I've done and the degree requirements at GGBTS, I'm not trying to come off as a know-it-all. There are some holes in my learning. I am very interested in doing more work on Biblical languages and research in Church History. The class I took with Dr. Kelly about the educational ministry of the church wetted my apatite for more educational courses. But in order to take the handful of classes that would be new, GGBTS requires that I take courses that overlap with work I have already done. A couple of weeks ago I called up a ministry placement consultant to get an outside perspective on my education. Basically, the guy I talked to works full time to help churches find pastors. He has his pulse on what other churches see as important when it comes to a graduate degree. I asked how important a Masters of Divinity is verses a lesser graduate degree like a Master of Arts in Theology. His answer to me was along the lines of "There is a very small minority of churches that would distinguish between the Masters of Arts in Theology and the Master of Divinity when hiring a pastor." If I were trying to get a degree so that I could improve my resume, this consultant was saying that the Master of Divinity was not a deal breaker. Maybe he is wrong. I was just looking for an outside opinion by a supposed expert. After speaking with the consultant, I called up Faith Evangelical Seminary to see what they could offer me. I talked through everything listed above and they told me that they would give me credit for a lot of the work I had already done. I could take eight more classes from them, pay $8,000 and I would receive a Master of Arts in Theology. I could easily complete these classes in a year. Everything would be online. I wouldn't have to spend money on driving and I wouldn't have to be away from my family. So what is the significance of GGBTS? Well they have a more prestigious accreditation compared to Faith Seminary. This might be important if I wanted to pursue a Phd from a prestigious school in the future. That isn't my plan, but I didn't really have a plan to go to seminary until a year ago. Someone might also make the case for the degree from GGBTS opening doors among the Southern Baptist. But that isn't my goal now or in the foreseeable future. That is where I'm at. I have really enjoyed my GGBTS experience over the past year, but the pros just don't seem to out weigh the cons. What do you think I should do? Should I transfer to Faith Seminary and finish the Master of Arts in Theology and then consider the M Div from Faith? Can you make a case for me continuing at Golden Gate verses Faith Seminary? I'd love to hear your perspective.